Ursula J. Brenner creates a diverse array of landscapes and contemporary abstracts in pastels, acrylics, oils and encaustics, using contrasts in form and color to underscore emotion in each piece. Ursula’s art reflects a wide range of moods, from light and playful to deep and mysterious. Born in Germany in 1955, Ursula has been influenced by a rich cultural background of old world museums, art, music, and architecture. She lives in Ohio, where she attended Edgecliff College on scholarship, graduating in 1978 with a B.A. in Drawing and Painting. She has studied with and been influenced by the work of Wolf Kahn, Susan Sarback, Doug Dawson and Albert Handell. Always filled with ideas, Ursula can be as inspired by driving in the country as looking through a magazine. She likes to focus on the fundamental nature of a scene – the values, colors, and shapes – using a “notan” study, a Japanese method of examining lights and darks. 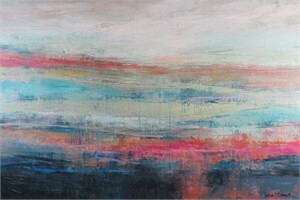 She enjoys alternating between landscapes and abstracts to keep her interests in both genres high. 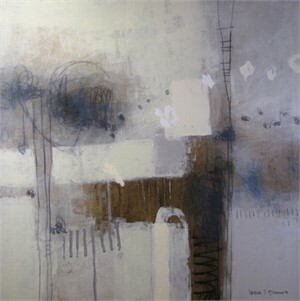 Ursula’s paintings are featured in private and corporate collections both nationally as well as internationally. 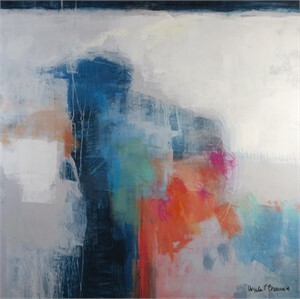 Ursula J. Brenner creates a diverse array of landscapes and contemporary abstracts in pastels, acrylics, oils and encaustics, using contrasts in form and color to underscore emotion in each piece. Ursula’s art reflects a wide range of moods, from light and playful to deep and mysterious. Born in Germany in 1955, Ursula has been influenced by a rich cultural background of old world museums, art, music, and architecture. She lives in Ohio, where she attended Edgecliff College on scholarship, graduating in 1978 with a B.A. in Drawing and Painting. She has studied with and been influenced by the work of Wolf Kahn, Susan Sarback, Doug Dawson and Albert Handell. Always filled with ideas, Ursula can be as inspired by driving in the country as looking through a magazine. She likes to focus on the fundamental nature of a scene – the values, colors, and shapes – using a “notan” study, a Japanese method of examining lights and darks. 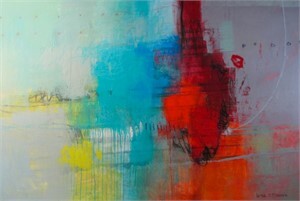 She enjoys alternating between landscapes and abstracts to keep her interests in both genres high. Ursula experiences a spiritual connection as she creates art, something she wants the viewer to experience as well. “My art makes a strong, bold statement, an unambiguous statement,” says the artist. “Yet it can be very ethereal too. I want people who look at my art to be transported into another realm, to transcend the normal human experience.” Ursula’s paintings are featured in private and corporate collections both nationally as well as internationally.